Joe Wells, of whom it has been said. 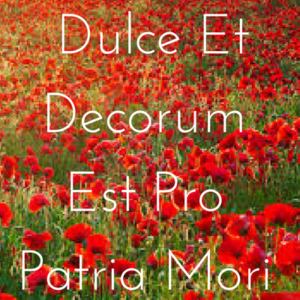 : Armistice day. I was very surprised by the number of tributes to the fallen both on Facebook and the internet generally but the fact that it's 100 years since the end of World War One seems to have brought with it a greater interest in the subject. To this end I am posting details of my radio play which is available on The Wireless Theatre Company which is a touching glimpse of the experiences of soldiers of World War One.